Yesterday afternoon Dad and I decided to have a quiet time fishing the sand and mud banks of a local creek for flathead. It's been a while since we chased these fish on the light line, and I was keen to try some new country. The area we fished is not too far, but a little out of the way. It was the last part of a fairly small run out tide, leaving the fish concentrated in the deeper channels and holes. 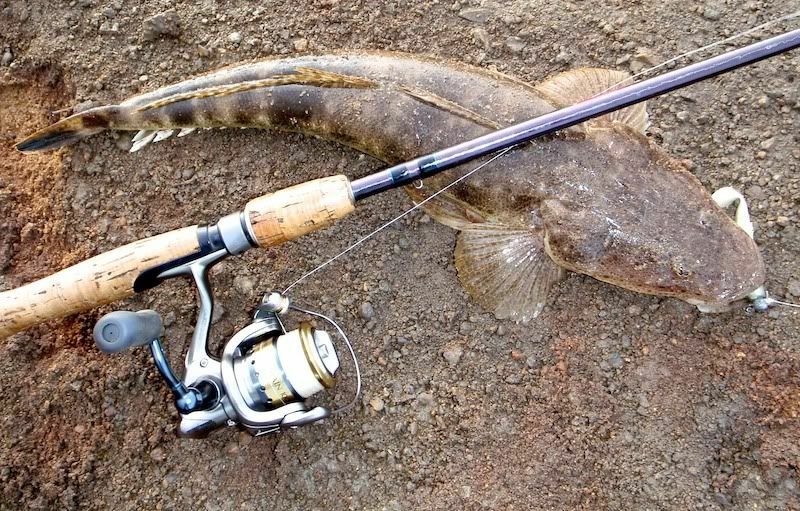 I like this stage of the tide for flathead, but with all the lies we saw up on the banks I will try this particular location again on a bigger tide, just to see. 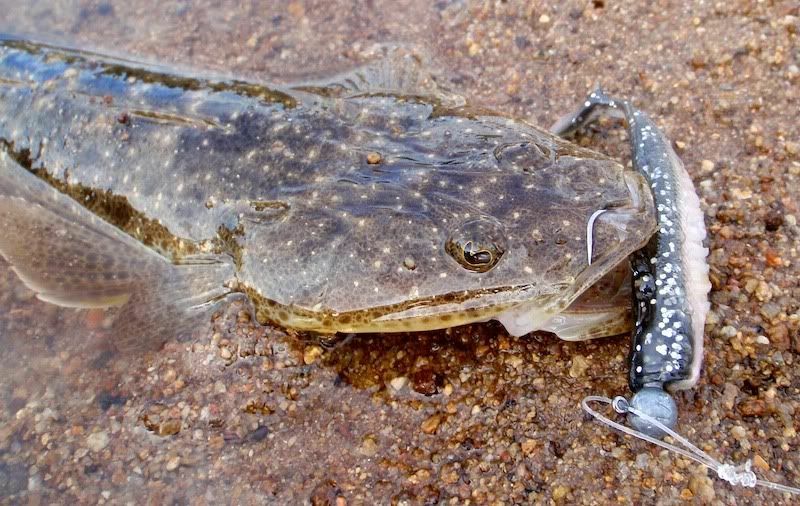 We ended up landing in excess of 10 flathead for the afternoon, but many were quite small. Only 4 were keepers, although these were good quality fish. One in particular was in the mid 60cm's. He gave a great fight right on dark on 8lb braid. My plastic of choice is the Squidgie pro fish range in the 70mm size. I particularly like the grasshopper and poddy colours. 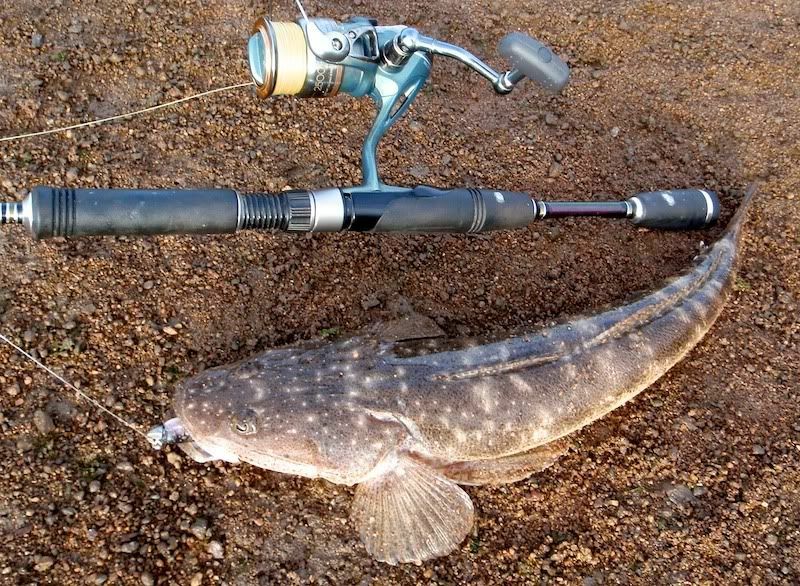 They look great in the water and both flathead and barra seem to love em. I have caught Barra over 80cm on these plastics before. The jig head I was using was a Berkley 1/8oz #1/0. 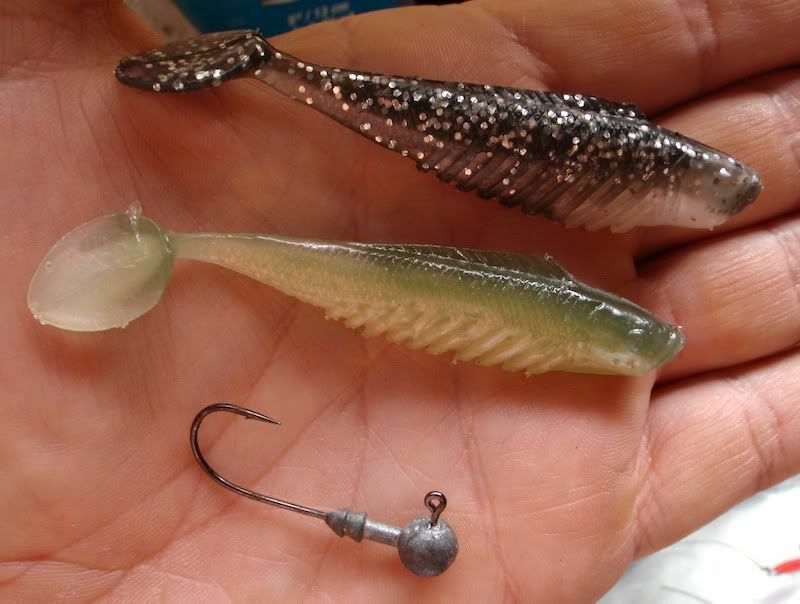 The 1/8oz is a perfect weight for flathead and matches these plastics quite well. But you can straighten the hook easily, so be warned!